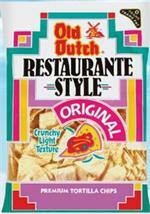 Old Dutch Restaurante Style Premium Tortilla Chips... A Light, Crispy, Authentic Tortilla Chip worthy of its world-class reputation. 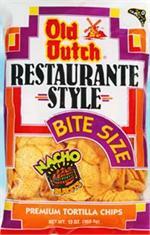 Try our many shapes and flavors: Bite Size, Tostados, Dip Strips... 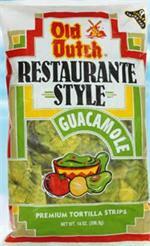 Original, Nacho, Guacamole, Fiesta, and our Multigrain Tortilla Chip. 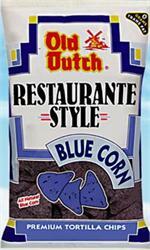 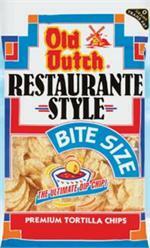 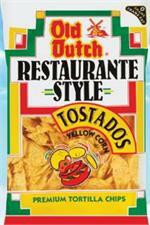 Always fresh, Old Dutch Restaurante Style Tortilla Chips, the perfect tortilla chip for every occasion.